I am sharing a link with those of you interested in seeing behind the scenes and the gallery exhibition of Woven Threads. Mike Wallace, exhibition chair, gave permission for me to include this link to his photos: http://gallery.me.com/mikewallaceart#100131&bgcolor=black&view=grid . 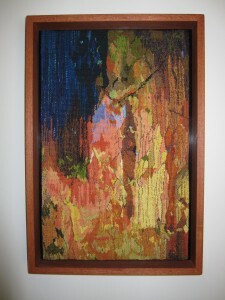 Woven Threads is currently being shown at the Stables Gallery, Orleans House Gallery, Riverside, Twickenham in the UK from 7 July to 23 October 2011. Woven Threads is the latest in a series of British Tapestry Group international exhibitions; a juried exhibition that show a wide range of contemporary woven tapestry. The exhibition was open to full BTG members and work had to fulfill an entry criteria. Jurors included: Liz Cooper, Contemporary Craft Curator, Thomas Cronenberg, Artist and Journalist, and Mark de Novellis, curator of Exhbiitons and Collections for the London Borough of Richmond upon Thames. Catalogues are available through the BTG website: www.britishtapestrygroup.co.uk. 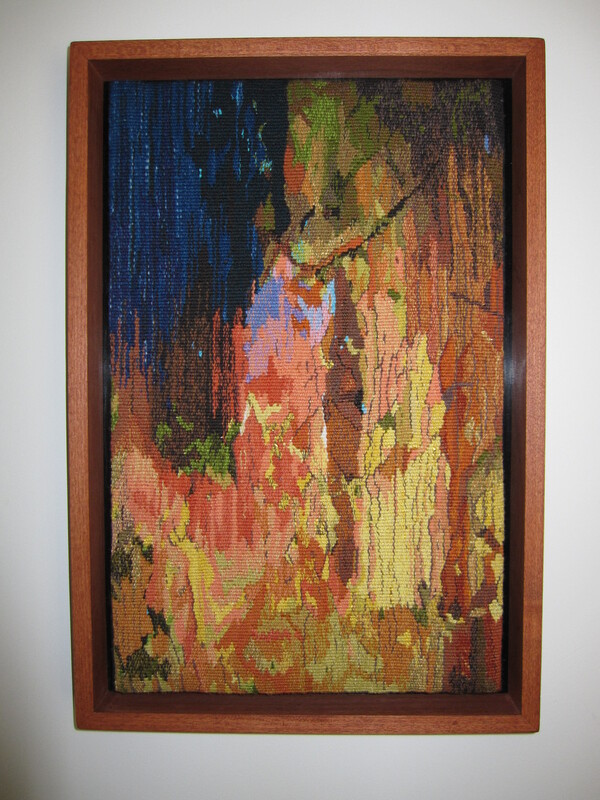 This piece was woven with cotton seine twine warp, with cotton,wool, silk, cottolin, and natural dyed wool and silk. It measures 31 cm w by 44 cm h.